Serve this warm and spicy Gluten Free, Dairy Free Gingerbread Amish Friendship Bread at your next winter book club! Thanks to Kitchen Friend Beverly Horner for sharing this recipe with us. For a gluten free flour substitute, we used rice based gluten free flour mix. Instead of topping with our usual cinnamon-sugar mixture, we used large granulated sugar such as turbinado sugar or raw sugar for topping. Luckily, Jello brand puddings are gluten and dairy free! 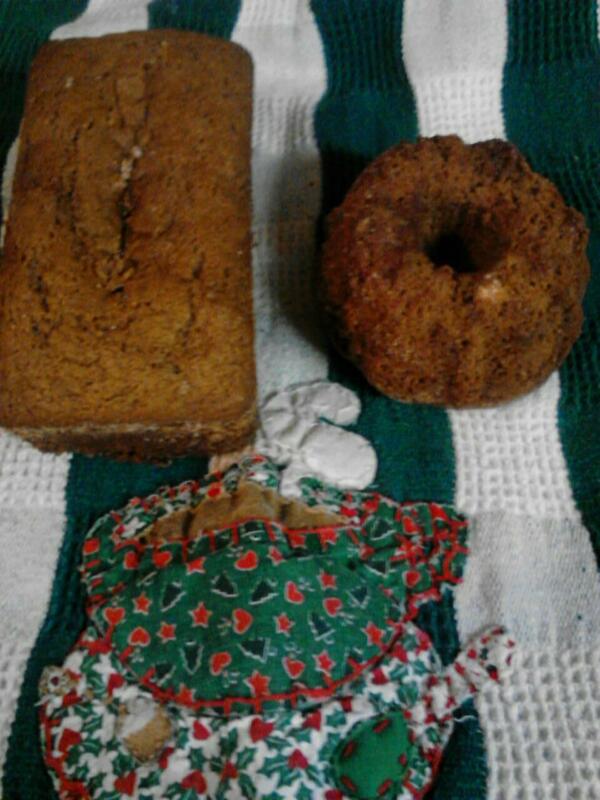 Serve this warm and spicy Gluten Free Dairy Free Gingerbread Amish Friendship Bread at your next winter book club! Grease two large loaf pans or 6 small Bundt pans and a mini loaf pan. In a large mixing bowl, add ingredients in order as listed. Pour the batter evenly into pans and top with 2 tablespoons diced candied ginger and large granulated sugar. Bake for 1 hour for large loaf, 45 minutes for mini loaf or 35 minutes for small Bundts or when toothpick inserted in center fo the bread comes out clean.